In case you missed our first Shop Mint Giveaway Post, we are so excited to collaborate with one of our favorite boutiques the Mint Julep Boutique and bring you a chance to win a $25 gift card to shop with them! The giveaway ends Sunday, October 25th at noon! 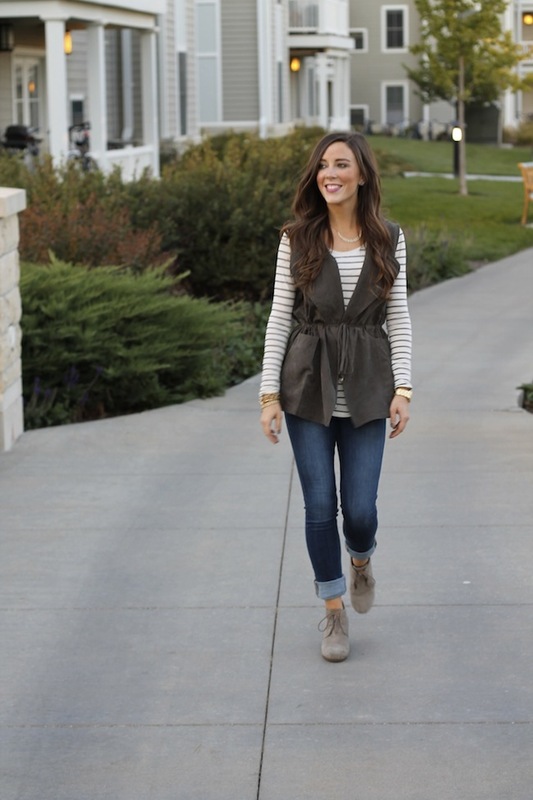 Vests are the perfect addition to any Fall outfit - I love a good olive color and the way this vest ties above the waist, giving it a more flattering look! 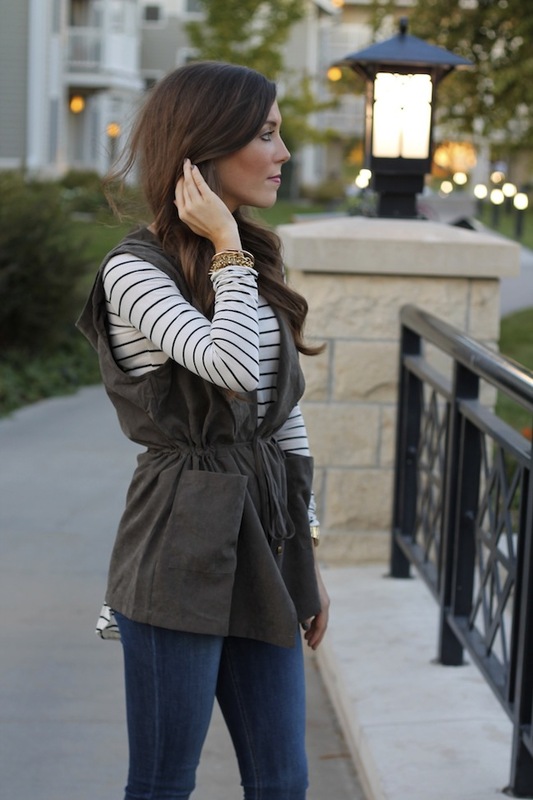 I'm obsessed with the material of this vest- it's so soft and lightweight. 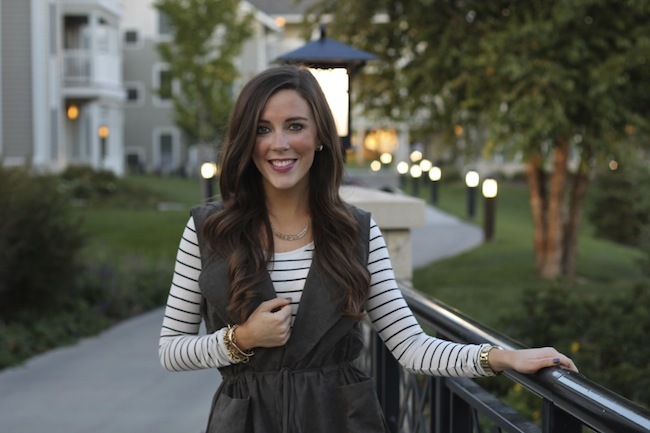 Shop all of Mint Julep's vests: here!